The modern man must solve lots of problems and fulfill many obligations in his daily life levitra uk You can get quality, effective medications in our inter net store without a prescription. The Blockbuster Game of Skill, Speed and Split-Second Timing! Marble Madness is the ultimate test of nerve and reflexes for one or two players. 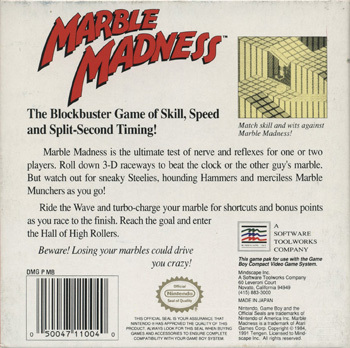 Roll down 3-D raceways to beat the clock or the other guy's marble. 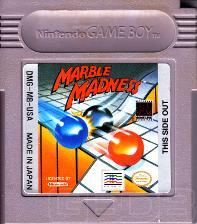 But watch out for sneaky Steelies, hounding Hammers, and merciless marble Munchers as you go! 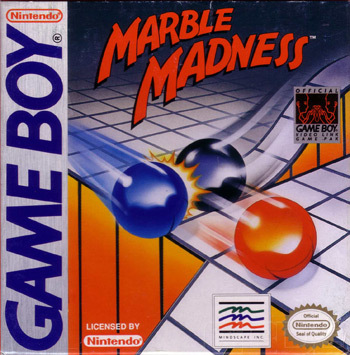 Ride the Wave and turbo-charge your marble for shortcuts and bonus points as you race to the finish. Reach the goal and enter the Hall of High Rollers. Beware! Losing your marbles could drive you crazy! DMG-MB-USA-1 - Change of Publisher's address and phone number on the back of the box..